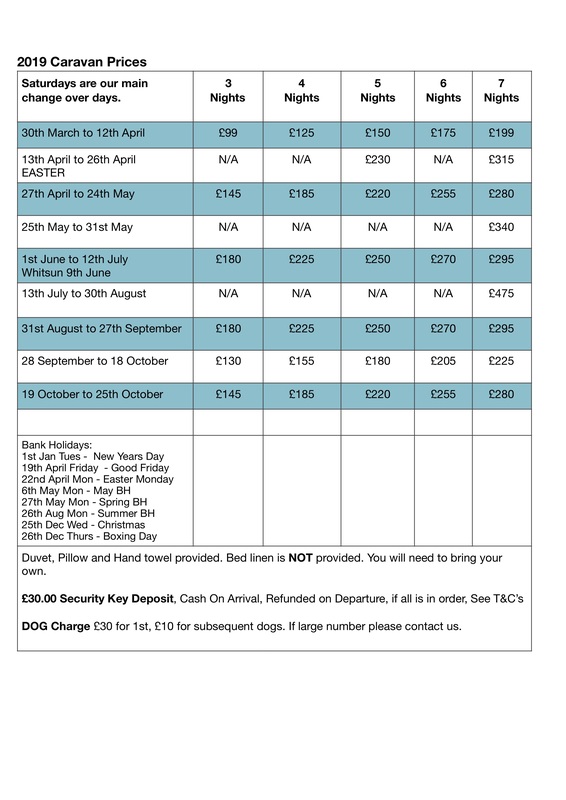 Our caravans are available to book from Saturday to Saturday from Easter till Autumn. We have short breaks out of the busy seasons. See below. We provide Duvets and Pillows, you need to bring your linen.